Pacific Islands Simulation has posted more previews from Jeju International Airport (RKPC) for FSX and Prepar3D. 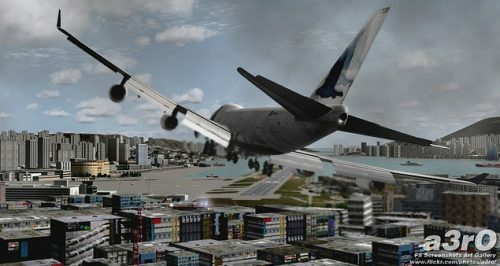 The MileHigh Productions freeware 9Dragons - Kai Tak Airport (VHHX) is now also available to download at OZx. McPhat Studios has posted preview close-up screenshots from the upcoming Coolsky Douglas DC-9 for FSX. Carenado has posted more preview screenshots from the upcoming Cessna C337 Skymaster for FS2004. 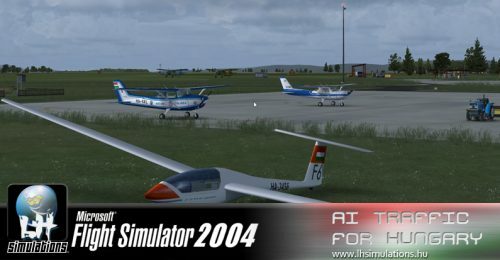 Ant's Airplanes Tecnam P2002 Sierra for FSX has been updated to version 1.3. Details at the Product Page. - New lotus style landing light. - Sierra Setup program replaced by new improved Animation Manager (see below for more info). - New realistic prop torque effect. - Fixed Hobbs meter display in RXP version. - Improved wiskey compass animation. Alabeo has released the long awaited WACO YMF for FSX and Prepar3D. Details and purchase at the Product Page. Aerosoft has posted new beta screenshots from the upcoming A-Flight Helsinki-Vantaa Airport (EFHK) scenery for FSX. Mathijs Kok has posted livery preview screenshots from the upcoming Aerosoft Airbus X Extended for FSX. Burkhard Renk has released MyTraffic 2013 for FSX and FS2004. Details and purchase at the Aerosoft Shop. - Addition of normal maps for a more 3D look. - Mip Mapping toned down to get rid of those large areas of gray. - Vastly improved night lighting which was developed to blend better with X-Plane 10 default lights. - Cleaned up coding for better performance. - Higher resolution textures for more detail. - Major update of textures. - Advanced texture techniques help the textures blend better. - LIT textures which show urban lighting at night. - Advanced texture compression for better framerates. - Regional textures separated by temperate zones. - A complete overhaul of original UrbanMAXX textures for added realism. - Fast and easy installation, just drop the “UrbanMAXX_Extreme” folder into your “Custom Scenery” folder and you are ready to fly. Vertical Reality Simulations (VRS) has announced commencement of TacPack for FSX open beta testing. Pacific Islands Simulation has posted another teaser from Jeju International Airport (RKPC) for FSX and Prepar3D. The EAA Radio Interview with X-Plane Developer Austin Meyer is now available to download at X-Plane.com. IRIS Simulations has posted this preview render from the upcoming Diamond DA42 Twin Star Update for FSX. Dino Cattaneo has posted first preview images from the upcoming updated Grumman F-14 Tomcat FSX. Turbine Sound Studios (TSS) has posted another preview video from the upcoming Airbus A330 GE HD Sound Package. A_A Sceneries has posted new preview screenshots of Kuala Lumpur International Airport (WMKK) for FSX and FS2004. Coolsky has posted a preview of the release liveries from the soon to be released Coolsky Douglas DC-9 for FSX. Classics Hangar has posted more development screenshots from the upcoming Focke-Wulf Fw 190D for FSX. ISDT has released the freeware Raytheon Beechcraft King Air B200 package for FSX. Download at AVSIM. Aerosoft has posted more screenshots from the upcoming A-Flight Helsinki-Vantaa Airport (EFHK) scenery for FSX. LimeSim has posted another teaser screenshot from the upcoming Aerosoft US Cities X - Los Angeles scenery for FSX.